In recent years, data deduplication has made its ways from the storage to the networking community. More specifically, it has become an important tool for optimizing application performance across the WAN. By eliminating the transfer of repetitive IP traffic, deduplication significantly improves WAN utilization and accelerates data transfers between geographically disperse locations. This saves bandwidth costs and helps to overcome many obstacles when communicating across a WAN. 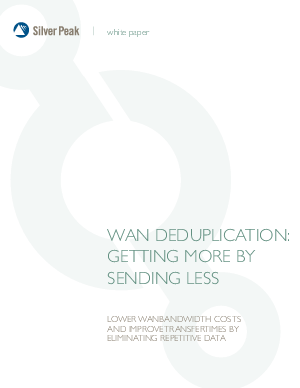 This paper discusses how WAN deduplication works, and how it can be effectively deployed as a complement to existing storage deduplication solutions.